We report highlights from this year’s British Cardiovascular Society 2014 Annual Conference held on June 2nd–4th 2014. Sessions from the busy programme varied from ‘Cardiology Rocks’ to interactive educational facilities and a multi-modality imaging village. Dr Andrew Cox reports from Manchester highlighting sessions covering arrhythmia management and award-winning presentations from young researchers. Issues highlighted for the NICE writing committee to review from the 2006 guidance included, in particular, the poor uptake of anticoagulation, personalised patient care, the increased use of calculator tools – such as CHA2DS2-Vasc and HASBLED scores – and the development of a simpler management algorithm to that previously described. The new document is an update, and therefore does not replace the previously published NICE Technical Appraisals 249, 256 and 275. These technical appraisals examine the role of dabigatran, rivaroxaban and apixaban, respectively, in non-valvular AF. The new guideline also does not look at unlicensed drugs such as edoxaban or vernakalant. When the CHA2DS2-Vasc risk is >2, the stroke prevention benefits of anticoagulation, using a vitamin K antagonist (VKA) or new oral anticoagulant (NOAC), outweigh the risk of complications. When the CHA2DS2-Vasc score is 1, then treatment with anticoagulation should be considered in men. In women without additional risk factors, a CHA2DS2-Vasc score of 1 is not an indication to initiate anticoagulant therapy. A score of 0 does not usually require treatment with any anticoagulation agent. The indication for anticoagulation might include either VKAs or NOACs. An important development, from the previous 2006 guidelines, is that aspirin is no longer recommended. NICE hopes that the default paradigm in AF should shift from patients opting into anticoagulation therapy, to one where patients need to opt out. Dr Cowan also commented that he believes that, in most cases, a high risk of falls in a patient should not prevent anticoagulation being prescribed if it is otherwise indicated. Patients treated with VKAs will also require an assessment of their time in the therapeutic range (TTR) at least annually to assess the efficacy of their therapy. In those individuals where anticoagulation is absolutely contraindicated, then it will be reasonable to offer a left atrial appendage occlusion device. Although NOACs in AF are now less ‘novel’, there is still ongoing discussion over how and when to use them. They were discussed by Dr Patrick Heck (Papworth Hospital, Cambridge) in the same session, along with the new anti-arrhythmic drug vernakalant and indications for catheter ablation in AF. First discussed were the NOAC drugs indicated to treat AF. These include the direct factor Xa agents edoxaban (currently unlicensed in the UK), rivaroxaban and apixaban and the factor IIa inhibitor dabigatran. These drugs have broadly similar onset times and half-lives, and have been investigated in large, multicentre trials.3-6 All four of these agents have been shown in non-valvular AF to be non-inferior to VKAs in preventing strokes. In the ARISTOTLE (Apixaban for the Prevention of Stroke in Subjects With Atrial Fibrillation) and RE-LY (Randomized Evaluation of Long-Term Anticoagulation Therapy) studies, apixaban and dabigatran, respectively, have also been shown to be superior to VKAs, primarily through a reduction in the risk of haemorrhagic stroke. The main limitations of these drugs include their high cost when compared to VKA, the fact they are irreversible (albeit with a short half-life), that no long-term safety or efficacy data exists and that they are not quite ‘one dose fits all’. Dabigatran, in particular, requires ongoing monitoring of the patient’s renal function. No head-to-head comparison of these agents has been performed. At present, NOACs are not indicated in valvular AF where VKAs remain the treatment of choice. They can, however, be used to anticoagulate prior to cardioversion of non-valvular AF. A new multi-ion channel-blocking agent, the anti-arrhythmic drug vernakalant, was also discussed by Dr Heck. Vernakalant was developed in order to cardiovert AF and, as a result, is relatively atrial-selective. It has been approved in Europe since 2010 for this indication but no approval application has been submitted in the UK. The AVRO (A Phase III Superiority Study of Vernakalant vs Amiodarone in Subjects With Recent Onset AF) study7 showed that vernakalant was superior to amiodarone in rapidly cardioverting new-onset AF. Other single-centre studies have shown vernakalant to be similarly efficacious to flecanide and propafenone in cardioverting new-onset AF.8 Vernakalant also appears relatively safe in cases of known mild-to-moderate structural disease. Although all anti-arrhythmic drugs may cause heart rhythm abnormalities, the most worrying side effect of vernakalent, in practical terms, is the risk of hypotension and rarely cardiogenic shock. Despite the relatively safe profile and efficacy of vernakalant, Dr Heck said he believed it would not greatly impact on practical AF management in the UK. In the last presentation of this session, Dr Heck returned to discuss when patients should be referred for ablation to treat AF. He reviewed ablation for paroxysmal AF (PAF) and persistent AF. AF is a progressive disease often originally manifesting as paroxysmal episodes, which over time occur more frequently and often become persistent. The 2012 ESC guidelines state that ablation is a reasonable management strategy for symptomatic PAF in the absence of structural disease. In persistent AF, however, it is often more reasonable to trial anti-arrhythmic drugs first; if this strategy fails then ablation might be considered. The joint 2014 American Heart Association and American College of Cardiology guidelines12 are similar to the ESC advice, though in this guideline AF is divided into three groups: PAF, persistent AF of <12 months duration and persistent AF of >12 months duration. Ablation is of reducing efficacy in these three groups but in long-standing persistent AF it can still be considered when drug therapy fails. There is no evidence that ablation allows anticoagulation therapy to be discontinued and the procedure should be used for symptom management alone. Ablation is absolutely contraindicated in patients where anticoagulation is not possible. More experience with NOACs and cardioversion ablation was given in a sponsored ‘Meet the Expert’ session on the Bayer stand. Dr Oliver Segal (The Heart Hospital, London) talked about an ongoing randomised controlled study, X-VERT (Explore the Efficacy and Safety of Once-daily Oral Rivaroxaban for the Prevention of Cardiovascular Events in Subjects With Nonvalvular Atrial Fibrillation Scheduled for Cardioversion). This is comparing rivaroxaban 20 mg once daily with dose-adjusted VKA for prevention of cardiovascular events in patients with non-valvular AF scheduled for cardioversion. Currently many cardioversion procedures are delayed and/or cancelled due to problems with the multiple referrals, visits and international normalised ratio (INR) monitoring needed using a VKA. It is hoped that use of NOACs in cardioversion will lead to a more streamlined and rapid cardioversion pathway. The study is expected to report at the ESC meeting in September 2014. In a second ‘Meet the Expert’ session, Dr Craig Barr (Dudley Group NHS Trust) highlighted how NOACs are now generally being used as a default strategy in patients with non-valvular AF to prevent stroke. He highlighted how the prevalence of AF doubles with each decade. When AF is present, stroke risk increases five-fold. In Dudley, rivaroxaban has generally been chosen as the preferred NOAC for a variety of reasons including its once daily dosing, its multiple indications and few drug interactions. This strategy, he said, had led to highly effective predicatable anticoagulation, and no need for dietary restrictions or routine coagulation monitoring in patients. Experience of using NOACs with patients undergoing cardioversion has been encouraging, he said. In Dudley, patients are pretreated with rivaroxaban for 21 days before the procedure and early indications after 4,000 patient years of treatment are that it helps lead to a successful procedure and may help to maintain sinus rhythm. Elsewhere at the meeting, a poster from Dr Jan Till and Professor Martin Cowie (Royal Brompton Hospital and Imperial College London) looked at the prevalence and burden of undiagnosed paroxysmal AF in non-anticoagulated heart failure patients with implantable electronic devices. They found that 24% of heart failure (HF) patients with such devices had undiagnosed AF and risk factors that would warrant consideration of treatment with an oral anticoagulant with a low bleeding risk. Although most of these patients had a very low AF burden, 5% of patients had more prolonged undiagnosed AF and were not receiving oral anticoagulants. Further work is needed to quantify the risk associated with very short duration AF in HF. Rock music was surprisingly brought centre stage at the meeting during a very popular presentation: ‘Cardiology rocks’ (pictured). Delegates were treated to a live drumming session by Mr Mark Richardson, drummer with Skunk Anansie, who was wired up during his performance to show the immense physiological demands that drumming makes on the body, particularly the heart. This was during a presentation looking at energy expenditure in drumming, given by Dr Marcus Smith (University of Chichester), who has shown in studies on professional drummers that heart rates during 60 minute drumming sessions are often an average 186 bpm, with peak heart rates higher than this. This finding was backed up graphically on the heart rate monitors seen by delegates during Mark Richardson’s performance. The additional high temperatures and humid conditions experienced in many drumming venues leads to further demands on the body coping with thermoregulation. Approximately two litres of fluid can be lost during a performance. Drumming, Dr Smith told delegates, was an incredibly physical activity with demands equivalent to running at 8 km/hour or cycling at 19–22 km/hr. He feels drumming could have a potential future as an alternative to more traditional physical exercise in schools, obesity clinics and so on. Studies in children and other groups, such as the obese, who can be reluctant to exercise, have shown it to be a popular option. It has also shown benefits in autistic children who engage with the activity. An ever-present highlight at the BCS conference is the showcasing of young investigative talent and this year was no exception. The panel of Professors Yvonne Alexander, Bernard Gersh, Kinya Otsu and Dr Hesham Sadek judged the four shortlisted scientists. These finalists, in order of presenting, were Dr Kaleab Asrress, Dr Gabriella Captur, Dr Ramzi Khamis and Dr Emma Yu. The competition between the four was extremely close with all four investigators presenting work of an exceptionally high standard. Work on novel molecular imaging techniques brought Dr Ramzi Khamis the Young Research Worker’s Prize. He works under the supervision of Professor Dorian Haskard at Hammersmith Hospital. Current atherosclerosis imaging methods are increasingly good at assessing plaque morphology but do not directly evaluate biological processes. Novel molecular imaging techniques may provide information that complements plaque morphology (such as that obtained by intravascular ultrasound (IVUS) or optical coherence tomography (OCT)) by allowing analysis of plaque biological characteristics beyond the visible. These may provide important information that can aid interventional and non-interventional treatment of specific plaque areas and enable targeted therapies. Optical imaging is particularly promising as new near infra-red (NIR) labelled agents emit signals that can penetrate tissues and allow high spatial resolution intravascular imaging in combination with existing interventional tools. An autoantibody (designated LO1) was isolated in Professor Dorian Haskard’s laboratory at Imperial College and shown to react with ‘oxidised’ low-density lipoprotein (LDL), a major ingredient of atherosclerotic plaques. LO1 was labelled with a NIR agent and confirmed to have retained its function. It was then used as an imaging agent in a mouse model of atherosclerosis, first using an in vivo imaging system (Ivis® Spectrum, Perkin Elmer) and then using quantitative fluorescence molecular tomography (FMT) coupled with high resolution computed tomography (CT). As FMT allows for combinations of probes to be used simultaneously, LO1 was compared with a caged probe that detects matrix-metalloproteinase (MMP) activity and found that both probes localised to plaque but with different dynamic responses to withdrawing the atherosclerotic stimulus. The combination imaging of two or more different molecular targets was thought likely to prove very useful in providing information on plaque dynamics. Having demonstrated feasibility in mice, further studies were performed in Dr Farouc Jaffer’s laboratory at Harvard University, showing that LO1 antibody localisation in rabbit atherosclerosis can be detected using an intra-arterial catheter. Finally, LO1 has been expressed as a partially humanised tagged construct for clinical translation. Dr Khamis anticipates his work will form the foundation of a translational route to establishing a multimodality molecular imaging technique that can detect vulnerable plaque. He was funded through the Wellcome Trust/GlaxoSmithKline Translational Medicine Fellowship Programme, and his work received additional funding from the British Heart Foundation (BHF). He was also awarded the British Atherosclerosis Society Binks travel award to fund his work at Harvard. Research by Dr Kaleab Asrress (St Thomas’ Hospital, King’s College London) has produced a new paradigm by which the physiology of ischaemia, as well as the performance of novel anti-anginals, can be studied. His work has been carried out under the supervision of Professors Simon Redwood, Michael Marber and Sven Plein. Myocardial ischaemia is a final common pathway in a complex interaction between oxygen supply and demand. It commonly manifests as exertional angina and surprisingly the underlying mechanisms remain poorly understood. Invasive techniques can assess stenosis severity, however testing these remains problematic because of the lack of a true ‘gold-standard’ test for myocardial ischaemia. Dr Asrress developed two experimental ischaemia models. The first assessed lesion severity with invasive, non-invasive and ex-vivo applications. The second was a human translation testing the feasibility of performing large muscle exercise in the catheter laboratory to describe the physiology of myocardial ischaemia and the actions of glyceryl trinitrate (GTN). A porcine model of coronary stenosis was developed for invasive assessment of coronary haemodynamics, which was used during hyperaemia and rest to compare the utility of several invasive indices of coronary stenosis. The models then underwent adenosine stress perfusion magnetic resonance imaging (MRI) to form a non-invasive standard for coronary ischaemia, and the indices were compared again. Finally, the hearts were explanted, injected with a fluorescent cast and frozen to allow microtome analysis to delineate the three-dimensional structure of the coronary circulation and accurately quantify myocardial blood flow. This was used as the reference test by which to measure the performance of the coronary stenosis indices. The indices measured during hyperaemia provided the best agreement with both MRI perfusion and microsphere derived blood flow. Hyperaemic stenosis resistance, which is measured using coronary pressure and flow, had the best diagnostic performance suggesting that it may have incremental diagnostic potential over the commonly used fractional flow reserve. Dr Asrress also developed a human translation model where patients performed supine bicycle exercise while undergoing cardiac catheterisation. A combined pressure and Doppler flow wire was positioned distal to a significant coronary lesion and coronary haemodynamics were studied during physiological ischaemia. The administration of GTN during ischaemia induced several harmonious changes in the systemic and coronary circulation that combined to reduce afterload while maintaining coronary perfusion. 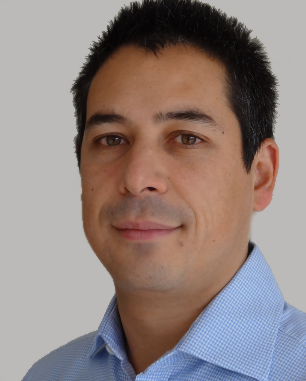 His research is funded by a Fellowship in Translational Research from the National Institute for Health Research Biomedical Research Centre at Guy’s and St Thomas’ Hospital and a BHF Clinical Research Training Fellowship. Dr Gabriella Captur (University College London) presented her research, which has helped improve understanding of phenotype and cardiovascular disease. She has worked under the supervision of Dr James Moon and Professor Perry Elliott at The Heart Hospital, and Dr Timothy Mohun at the Medical Research Council National Institute of Medical Research. Historically the evaluation of ventricular trabeculae, in both health and disease, has been difficult to evaluate. This difficulty has resulted in a number of different criteria being proposed to diagnose left ventricular non-compaction, but practically none of these methods have appeared completely satisfactory. It was originally hypothesised that a novel fractal-based approach could robustly characterise the extent and development of trabeculae within the heart. To test this hypothesis, Dr Captur studied the hearts of embryonic mice using the technique of high-resolution episcopic microscopy. This technique allowed her to track the normal development of the compacted myocardium across both left and right ventricles and to compare this to a validated mouse model of non-compaction. She discovered important differences using this approach. The technique was then translated into a clinical toolkit for use with adult human cardiovascular magnetic resonance images. Using her in-house method, Dr Captur was able to demonstrate that the left ventricular apex was markedly abnormal in left ventricular non-compaction, when compared to normal controls. Inter-ethnic differences in trabecular patterning for the healthy left ventricle were also observed. She has further extended her fractal approach to the study of trabecular phenotypes across other cardiac diseases. In hypertrophic cardiomyopathy in particular, when compared to normal controls, she not only measured increased endocardial complexity in patients with overt hypertrophic cardiomyopathy but also in sarcomere gene mutation carriers before the development of left ventricular hypertrophy (LVH). These findings have improved our understanding of the subclinical phenotype in hypertrophic cardiomyopathy. Fractal mathematics, in combination with cardiac microscopy or cardiac magnetic resonance, has the potential to answer important questions in heart developmental biology and pathology as well as potential applicability to other organ systems and to other species. Dr Captur is funded by the European Union, University College London and the Biomedical Research Council Cardiometabolic Fellowship Programme. 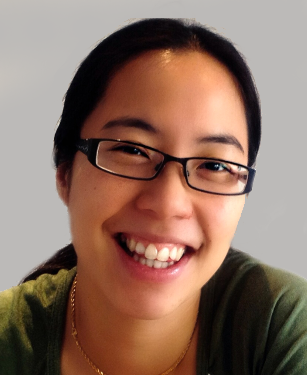 Dr Emma Yu (Cambridge University) has been looking at the role of mitochondrial damage and atherosclerosis, working under the supervision of Professor Martin Bennett. Mitochondria are protobacteria-related organelles that contain their own genome and ability to replicate. Due to their capability to generate adenosine triphosphate (ATP), mitochondria can be considered the powerhouses of cells. They also have wider functions including the regulation of calcium signalling and cellular death and as a major source of reactive oxygen species (ROS). Damage to the mitochondria may have a serious effect on cellular function and on normal cellular senescence. Mitochondrial DNA (mtDNA) damage has been associated with atherosclerosis but a causal role and underlying mechanisms had yet to be explored. Using a murine model Dr Yu investigated the role of mitochondrial DNA damage and dysfunction in the development of atherosclerosis. Knockout mice deficient for apolipoprotein E have been used as a model of hypercholesterolaemia and atherosclerosis. Using this model Dr Yu found mtDNA damage occurred early in the development of atherosclerosis. This damage promoted atherosclerosis, affected plaque composition and increased plaque vulnerability independently of ROS through effects on vascular smooth muscle cells, monocytes, and hyperlipidemia. In a human follow-on study utilising virtual histology intravascular ultrasound, Dr Yu demonstrated that leukocyte mtDNA damage was associated with thin-capped fibroatheromas. Importantly these lesions have the highest rate of adverse cardiac events on long term follow up. Dr Yu’s data not only suggests that mtDNA damage and dysfunction could represent a new pathway of potential therapeutic targets in the treatment of atherosclerosis but that mtDNA damage itself could become a useful biomarker. Initially funded as a British Heart Foundation Clinical Research Fello, Dr Yu is now a National Institute for Health Research Clinical Lecturer. Next year’s BCS Annual Conference will take place on June 8th–10th 2015 in Manchester.